← Welcome to a New Year! This entry was posted in Grade 5 and tagged 5th grade, kindergarten, Reading, Reading Buddies. Bookmark the permalink. What a great article! 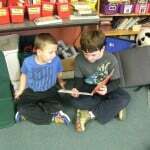 Very well written and I enjoyed learning everyone’s thoughts and opinions about reading buddies. I know that Harry always looked forward to it! He even got his big brother as his buddy! Thanks for sharing this! Nice work! Thank you! 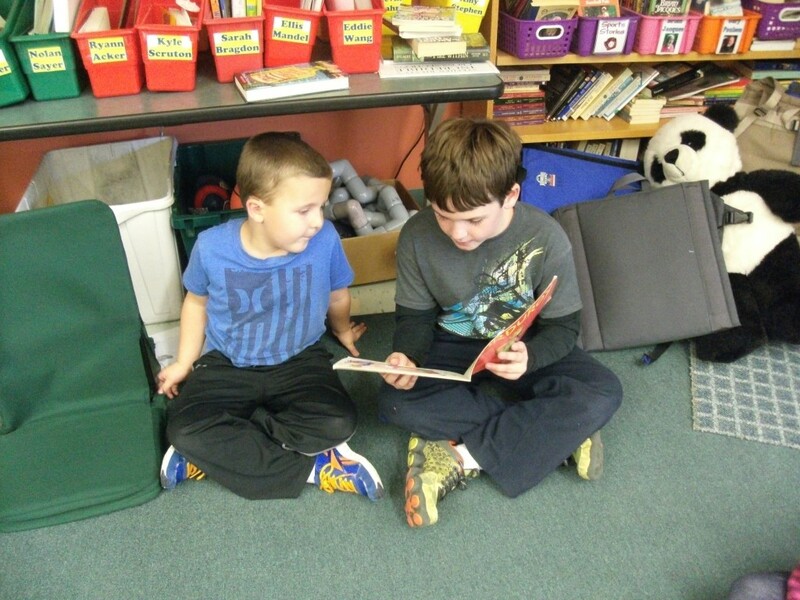 I loved reading your post about Reading Buddies! I especially liked how you interviewed some fifth graders to get their perspective on being Kindergarten and then as Fifth grade buddies. It makes me wonder if we should have everyone do this, or maybe just fifth grade and Kindergarten. Thank you for sharing this aspect of Chickering with everyone. Great blog guys! I’m very impressed with the clear and descriptive writing style and the logical, concise composition. You write better than most adults. Please keep it up I can’t wait to read your next post. What an informative piece! 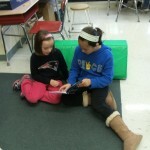 This answered a lot of questions and gave a very thorough description of the reading buddies program. Keep up the good work everyone! That video was amazing, when you were at the assembly. I really thought that was awesome. Great job on this report guys. You really pulled me into it at the beginning and gave a lot of information about reading buddies. It would be good idea for you to asked the students to explain why the books are good because after a while it got a little repetitive. Other than that great job guys. I really dig this blog post. I really like how you got different quotes from other non-reporters from class and your teacher. On the next post you make, I suggest you add a variety of things because the quotes and names of books got a little repetitive. It would be a good idea if you explained a little more why they liked the books. 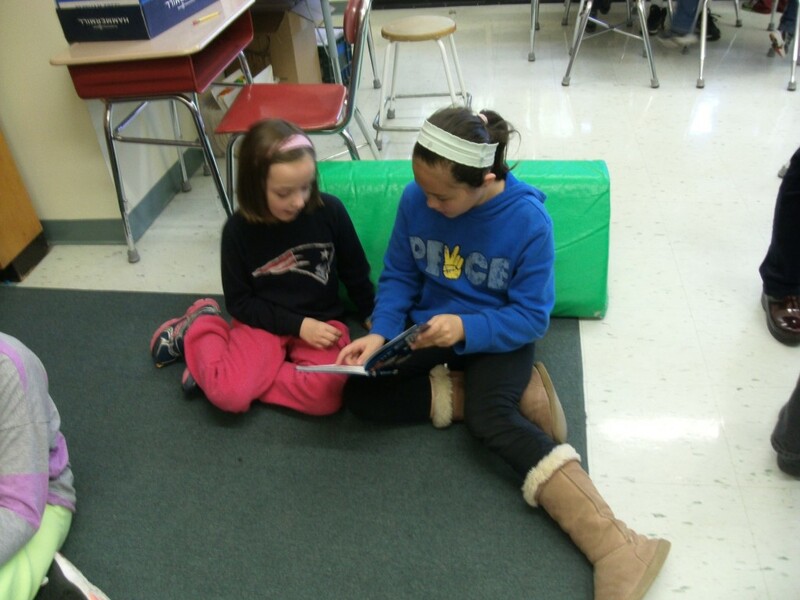 You guys did a great job with writing and explaining Reading Buddies. It was very detailed. There were two things that hasn’t actually happened with us and our buddies; we haven’t played educational games with them or build K’nex. Maybe next time, you can give the information that we did. But the 5th graders last year maybe did. But in everything else, you guys did perfectly! Really nice job guys. I think it is so cool! You talk all about the reading buddies and you talk about the 5th grade perspective and kindergartners’. Did you ask what books they like? Did you ask what books they don’t like? Do they like math? Do they dislike math? It would help to have this information about the kindergartners. Nice job. I loved your post. I liked how you interviewed the students and Mr. Wadness. Another thing you could have done was interview the the buddies. Good luck on your next post. I really like the confidence, effort and teamwork to write this long article. I also like how you, on everything you said, there is at least 1 thing to support it. I suggest next time you ask them to say the books that interests the little kids. 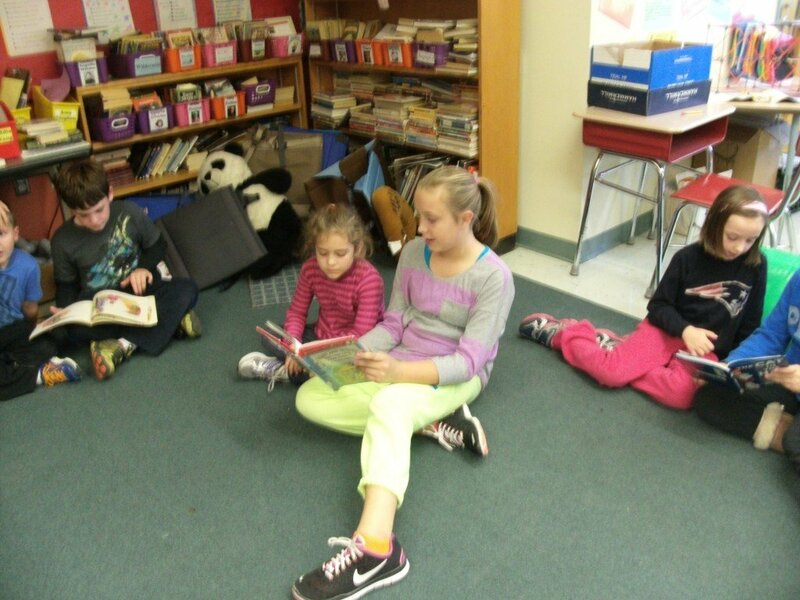 At our school, we do reading buddies too! That is really cool.